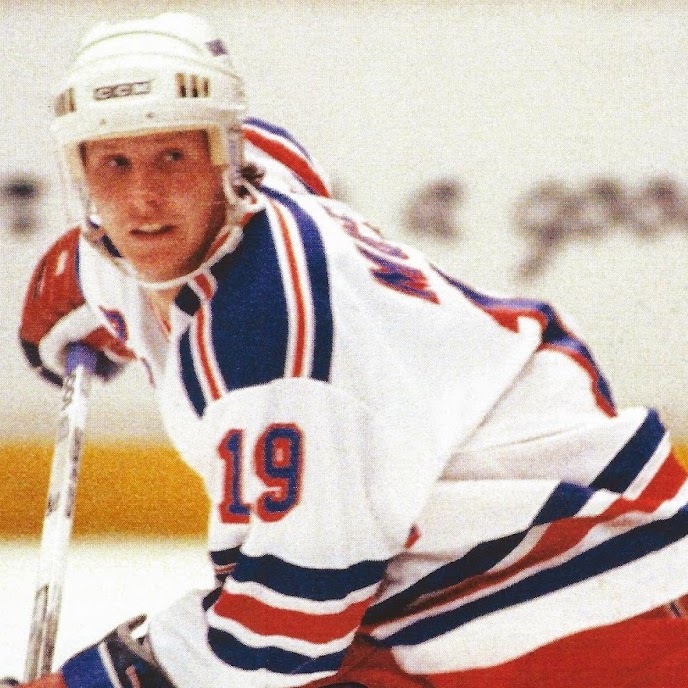 Brian Mullen’s connection to the New York Rangers was much deeper than the four years he spent as a player. Mullen had grown up in Manhattan, a stone’s throw from Madison Square Garden, where his father worked in the building operations department. As a result, a teenage Mullen worked as the visiting team’s stick boy from 1977 to 1979. It wasn’t until the 1987-88 season, however, that Mullen came home to the Rangers as a player. Thanks to a June 6, 1987, trade with Winnipeg, Mullen he became the second native New Yorker after Nick Fotu to play for the Rangers. In that homecoming season, he posted 25 goals and 29 assists for 54 points and 42 penalty minutes in 74 games, while skating on a line with Kelly Kisio and John Ogrodnick. Mullen made his only NHL All-Star appearance in the 1988-89 season, and joined his brother, Hall of Famer Joey Mullen, as part of the first American born brother combination to play in the same NHL All-Star Game. He finished the year with 29 goals and 35 assists for 64 points and 60 penalty minutes in 78 games. “Mully” appeared for two more seasons on Broadway, and over the course of his four-year stint, he captured numerous awards and honors. Most notably, he was awarded the N.Y. PHWA Mitchell Award for Outstanding Service to New York Hockey after the 1988-89 season, and in 1989-90, won the Boucher Trophy as the most popular Ranger. The Rangers traded Mullen to San Jose on May 30, 1991 as part of the first ever trade in Sharks history. He would go on to skate for two more years before a mild stroke suffered in 1993 prematurely ended his career. Following his retirement, Mullen returned to Madison Square Garden for a two-season stint as part of the Rangers radio broadcast team.